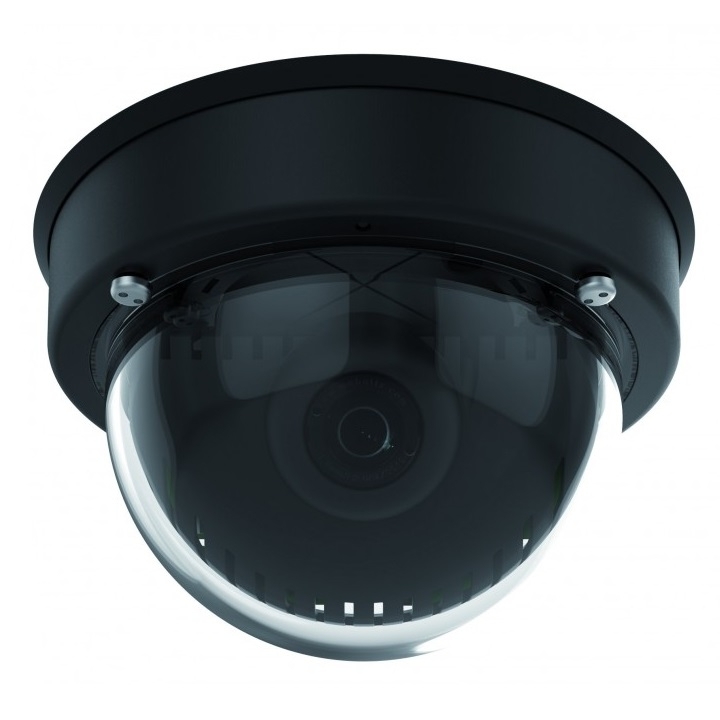 The Geovision GV-BX5700 is a 5MP box camera with the choice of a vari-focal lens (GV-BX5700-3V - 3.6~10mm = 90°~40°) or a fixed lens (GV-BX4700-8F - 2.95mm = 120°) and two-way audio. It uses a range of image enhancers such as backlight compensation, wide dynamic range, defog, denoise, low lux enhancement and more. The GV-BX5700 supports a range of features to improve security such as tampering alarm, focus change and camera shift. This camera also supports on board storage with a micro SD card slot and H.264 compression. The camera can be powered by a 12VDC power supply or PoE and remote access is possible through the GV-Eye app or through a web browser.